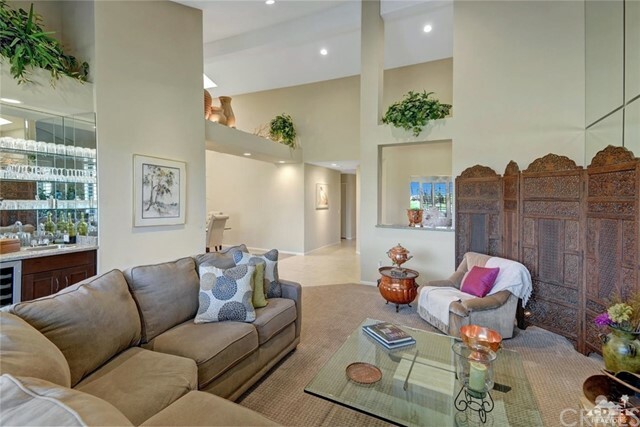 Elegantly remodeled in every detail, this gorgeous Willow plan defines luxury living with modern contemporary upgrades throughout. 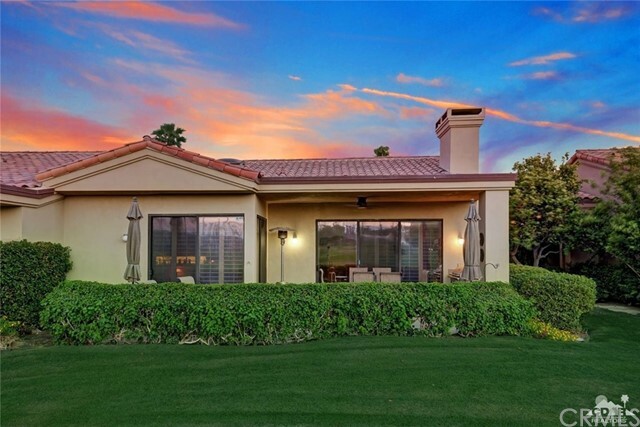 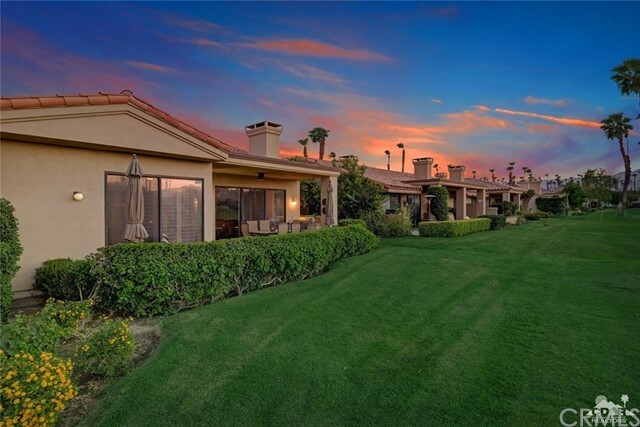 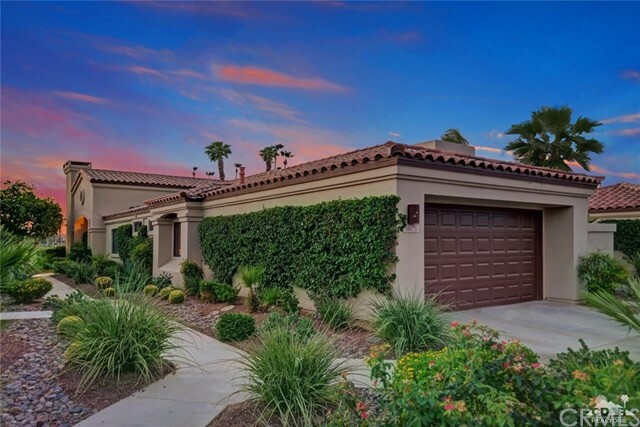 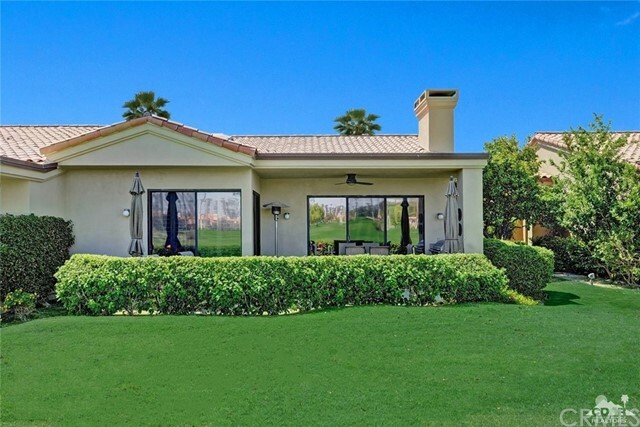 Scenically situated overlooking 3 fairways with panoramic Mountain Views. 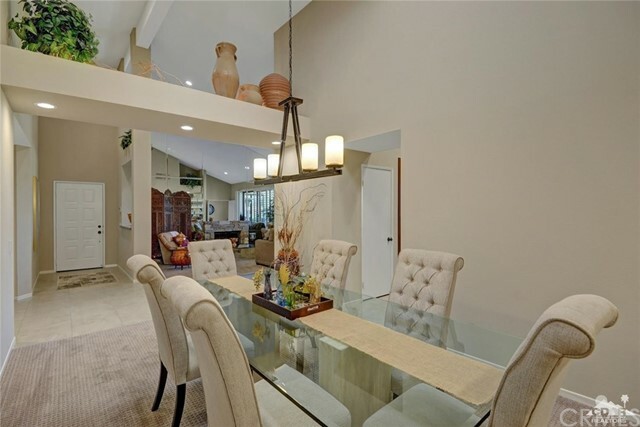 Welcoming great room with soaring ceilings, stone fireplace, custom bar area w/wine refrigerator - perfect for entertaining! 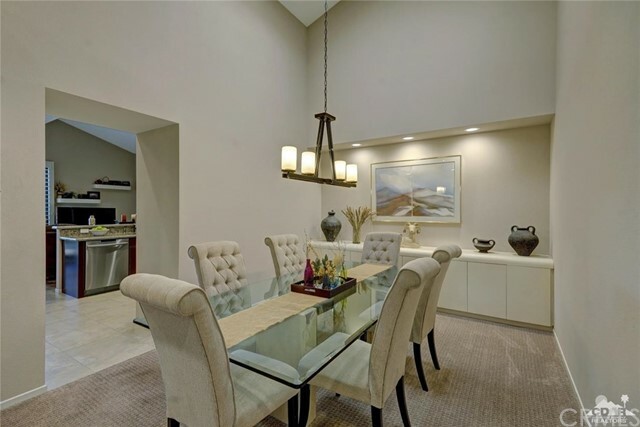 Tastefully appointed & offered Furnished. 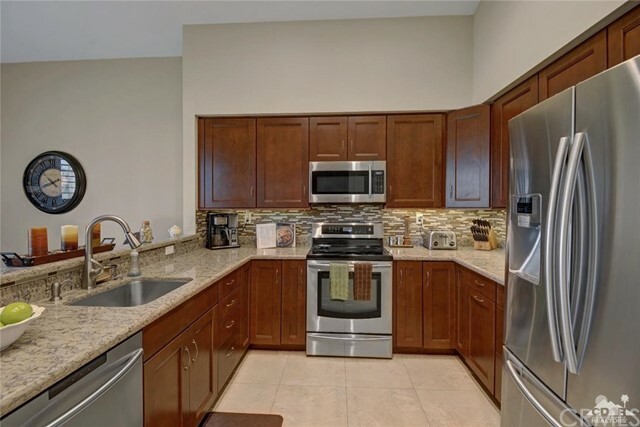 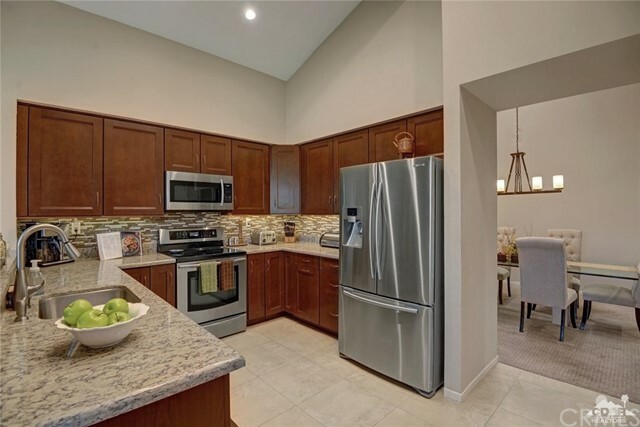 Spacious Gourmet Kitchen Quartz countertops, custom backsplash, rich-wood cabinetry, stainless steel Appliances & Morning Room. 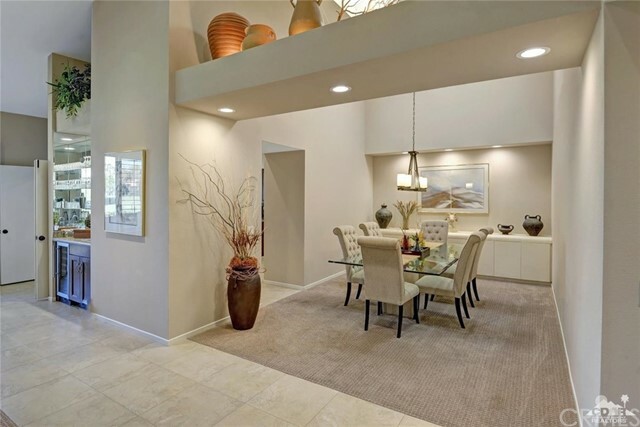 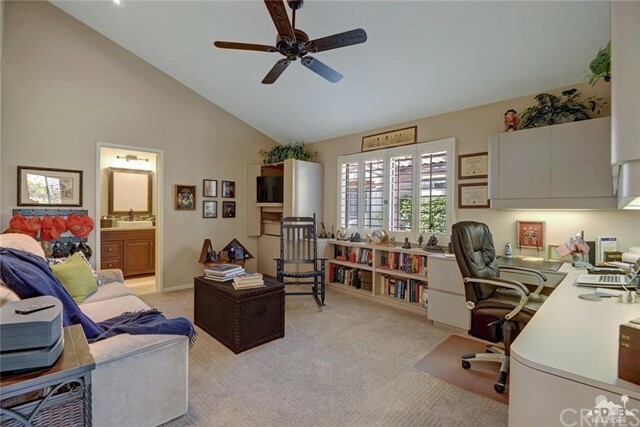 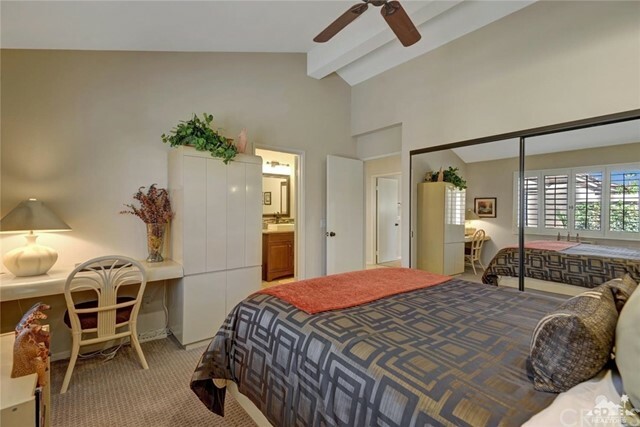 3 spacious Bedrooms, one with impressive Office/study built-ins. 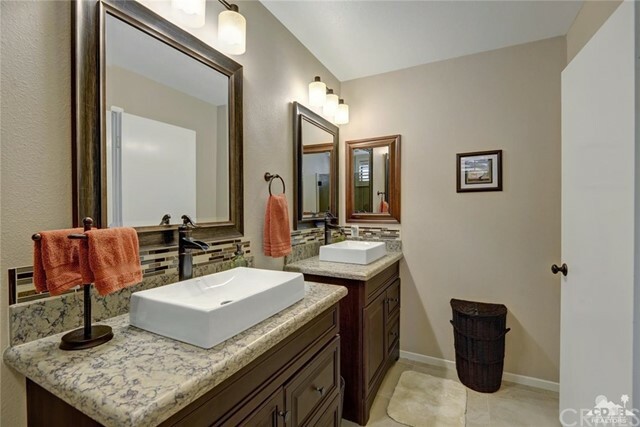 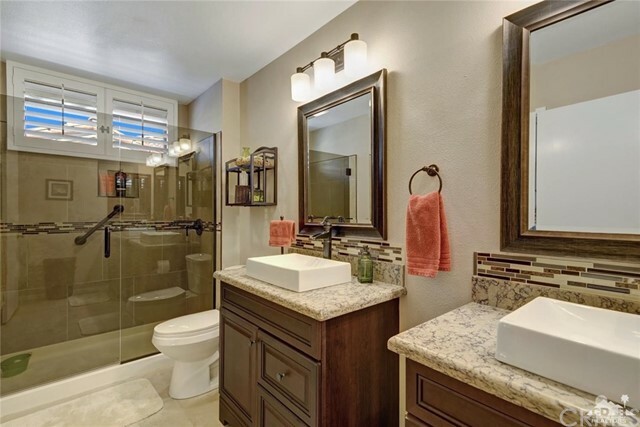 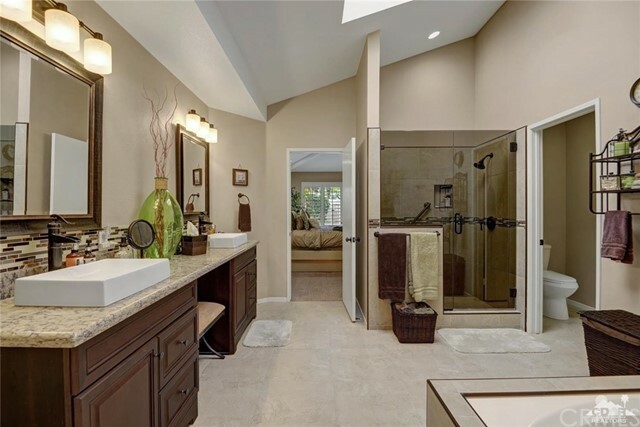 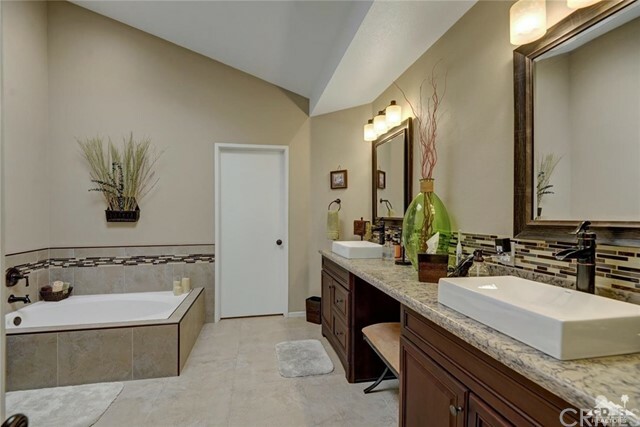 Luxurious Master Suite with spa-style bath, quartz counters, dual vanities, custom walk In closet & private patio. 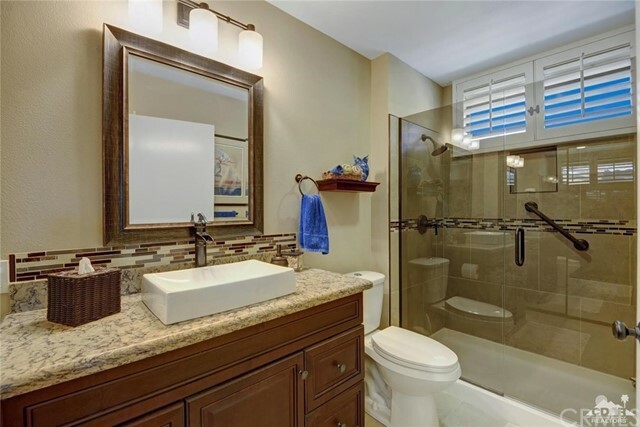 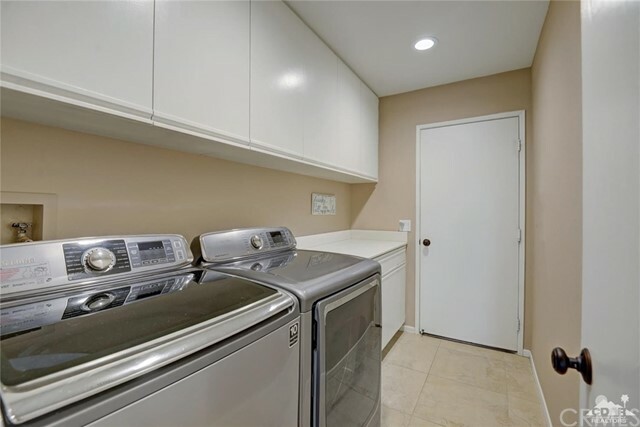 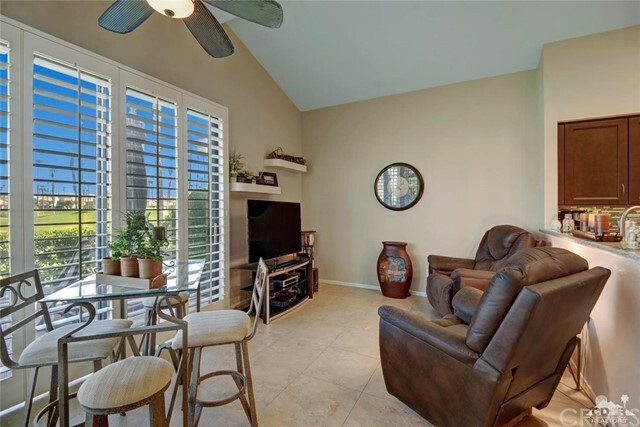 Features: Plantation Shutters, upgraded Carpet, newer tank-less water heater & dual A/C-Furnaces. 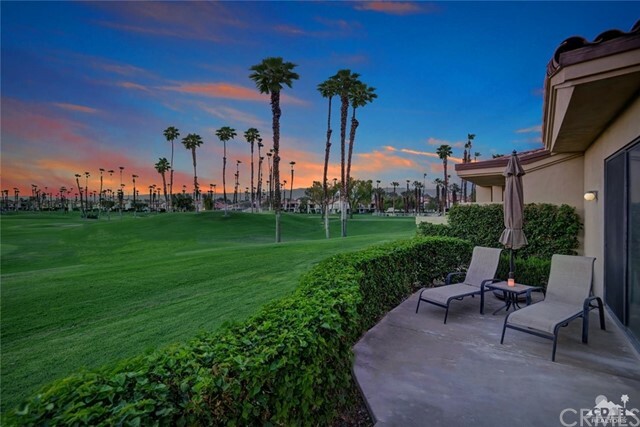 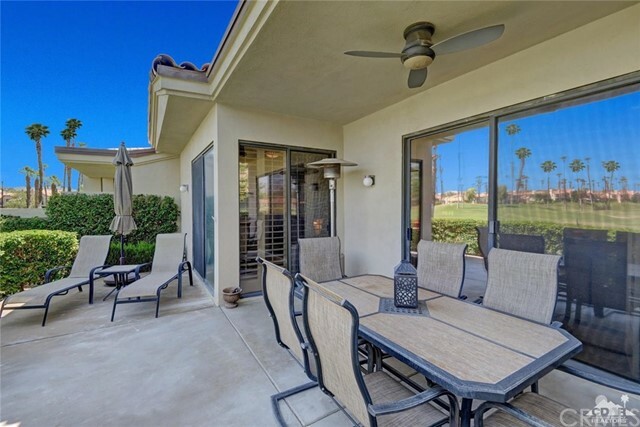 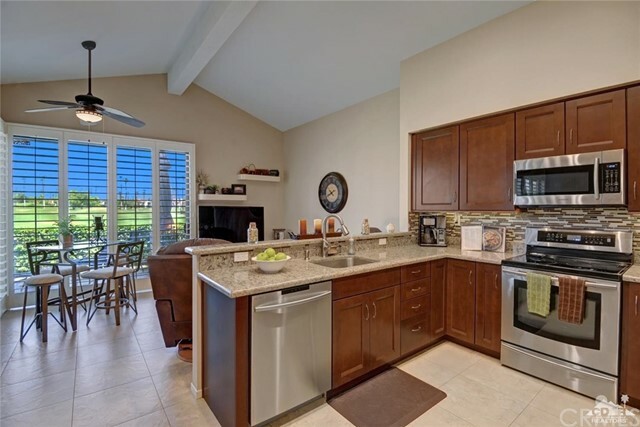 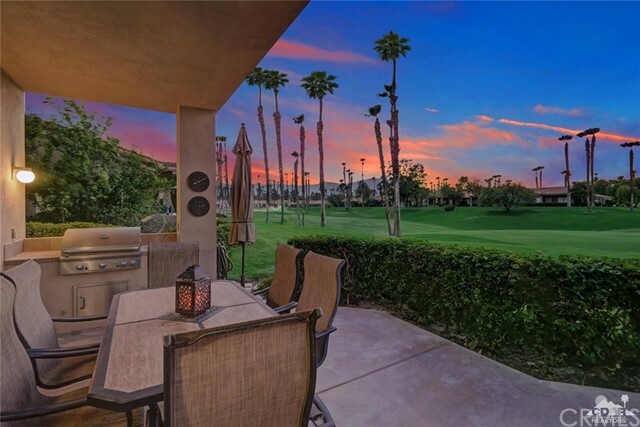 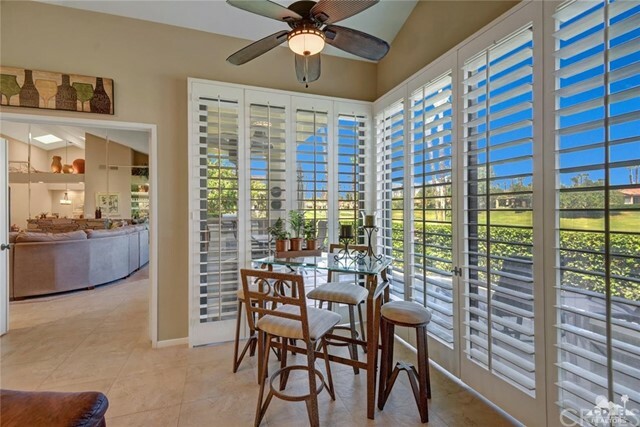 Enjoy the lovely outdoors w/ built-in BBQ while you marvel at the lush fairways & sweeping views & sunsets beyond. 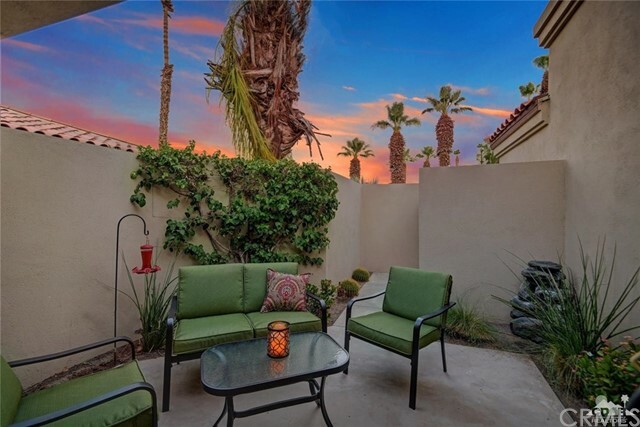 Steps from one of the 46 community pools & spas. 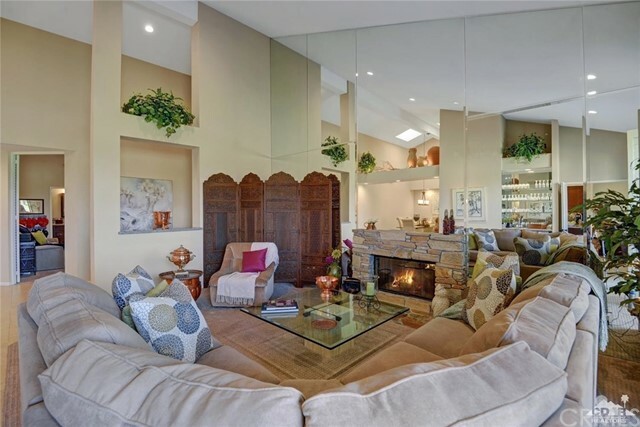 Decidedly, a one-of-a-kind custom home!